We provide professional, expert tuition in English and Maths at Key Stages 1, 2, 3 and up to and including GCSE. 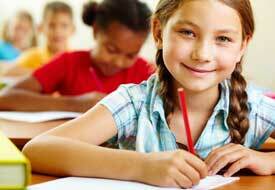 Our tutors also help to prepare students for SATs and entrance exams, including Common Entrance. Through our ‘personal’ tutoring service, our teachers inspire children to love learning and reach their potential. We also offer one-to-one A level Biology tuition. Our tutor is an experienced teacher with an honour degree in Applied Biology. He has worked for several years as a private tutor and is also an examiner for Cambridge International Examinations. Many parents worry about how their children are getting on at school and whether they are reaching the appropriate literacy or numeracy standards for their age. At Smithbrook Tuition we provide a free, no obligation assessment and discuss the results with you afterwards. You will find out how your child is performing at school and we will highlight any areas where your child is experiencing difficulties. Whether there is a problem or if you feel your child is not being sufficiently challenged, we will explain how we will be able to help your child with our tutoring services. We will design a personal education plan to meet the needs of your child and maximise their progress. We use multi-sensory, traditional teaching methods and include the use of computers, text books and graded worksheets. At Smithbrook Tuition, students follow their own personal tutoring programme with face to face teaching in a small group environment. Pupils receive individual attention and their progress is carefully monitored. As your child progresses, their programme is adjusted to meet their exact needs at all times. 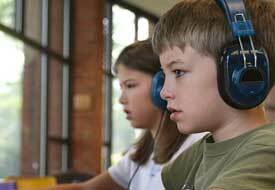 Dyslexia, dyscalculia, ADHD and other needs are addressed by our experienced teachers. Our teaching method guarantees more confidence and motivation for your child.